The Cadet A320 (type-rated) position is for motivated, high calibre pilots who wish to develop their flying careers with one of the most progressive and dynamic low-cost low-fare airlines in the Central and Eastern European region. The Cadet A320 (type-rated) position requires a minimum of 200 hours total flying time and a valid A320 type-rating. Nationality: Unrestricted right to live and work in the European Union (and/or) Serbia (and/or) Ukraine (and/or) Macedonia. Licence: Current and Valid JAR/EASA (or National equivalent*) AIRLINE TRANSPORT PILOT'S LICENCE (or), COMMERCIAL PILOT'S LICENCE with a valid MPA-IR and passes in all ATPL subjects. 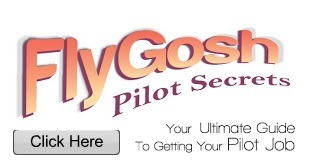 You will need a first class flying record, both in terms of practical hands-on skills and technical knowledge. You will be a good communicator, work calmly under pressure, be assertive and possess solid and timely decision making abilities. The ideal candidate will demonstrate evidence of leadership, adaptability, high personal standards and motivation, together with a commensurate appreciation of the high level of customer service delivery we offer. Concessionary travel for self, family, and five annually nominated travel partners is unlimited and offered across the entire Wizz Air network. Travel is firm and not issued on a standby or sub-load basis. We operate a fully automated and crew initiated "trip trade" programme at Wizz Air. This allows crew to trade and swap flight duties at any time during the month so as to better align their personal and free time. Should you experience any technical difficulties with submitting your application, please write to us at pilot.recruitment@wizzair.com. Unsolicited emails, or emails containing documents not specifically requested by the recruitment department shall not receive a response. 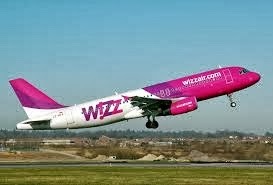 Wizz Air is an equal opportunities employer. Applications for employment can only be made through the channels detailed on this website, please do not attempt to contact existing Wizz Air staff directly concerning your application, as no other method of application is approved. Please note that due to the high volume of assessments, Wizz Air operates a policy of not providing reasons or explanations to unsuccessful applicants after assessment.